Building a new financial technology? Check out our coverage from our developer conference in San Francisco this fall, and mark your calendars for our spring developer event in New York, March 29 and 30, FinDEVr 2016. BankNXT interviews Stefan Weiss, head of APIs at Fidor Bank, on the APIs, regulation, and expansion. American Banker quotes Simon Redfern, founder of the Open Bank Project, in a look at the drive for open bank APIs in the United Kingdom. Deluxe Corporation celebrates its 100th birthday by ringing the opening bell at the NYSE. Entrust Datacard’s Kurt Ishaug named 2015 CFO of the Year by Minneapolis-St. Paul Business Journal. The TRADE names Markit to its Hall of Fame. Personal Capital lowers investment minimum from $100,000 to $25,000. PRUDENA launches online marketplace for stock market research. StockTwits offers brokerage functionality powered by Robinhood. CardFlight announces EMV approval and certifications via TSYS for mPOS solution. 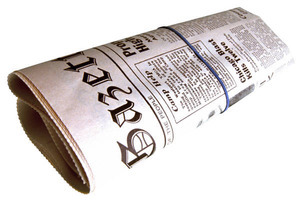 PYMNTS looks at Akimbo’s next venture, Akimbo Now. Dealstruck crosses the $100m mark. Deluxe Corporation celebrates its 100th birthday by ringing the opening bell at the New York Stock Exchange. PYMNTS interviews Michael Garrity, co-founder and CEO of Financeit. Inside Big Data interviews Dr. Venkat Krinivasan, CEO of RAGE Frameworks. The Financial Brand’s Ron Shevlin takes a look at the future of Venmo. InvestinGoal provides a free eToro base course to help introduce new investors to social trading. Strands brings its PFM solution to Temenos Connect and Mobile Internet Banking. Geezeo builds custom financial event app: Life by Geezeo. Deluxe Corporation is a changing, evolving, growing company. Strategic acquisitions have created a unique suite of services helping businesses and financial institutions to attract and retain customers, including marketing services and payment solutions. Creativity, innovation and entrepreneurial spirit—combined with the resources and strength of a well-established company—creates a culture expected at a startup rather than a Fortune 1000 company. Our customer base includes nearly 4.6 million businesses, approximately 5,600 financial institutions, and 6 million individual customers. The eCheck is cutting-edge technology combining the best of check writing with the convenience of email, giving businesses a fast, easy payment solution. Financial institutions process 20 billion paper checks worth $30 trillion every year in the U.S. alone. Deluxe eChecks combines the best of check writing with the convenience and speed of email delivery. We’ll explain exactly how eChecks technology works, including the ability to integrate remittance data as well as securely send thousands of payments at one time, and how you can easily leverage them in your application to send/receive payments without paying transaction fees. Tribble has been innovating in technology for 30+ years, including asynchronous Promises before the internet, hypertext technologies that led to the URL before the web, and information marketplaces before eBay. He was CTO and founder of Agorics Inc. His teams architected the first Java-based client-server brokerage-information system for Schwab, the first electronic check service for the FSTC, and an enterprise-wide application and infrastructure security system for Sun Microsystems. Tribble invented secure email technology for business that was acquired by Microsoft, where he then led development of security and compliance features for Microsoft Exchange. As a principal architect, he participated in security and operating system incubation work that led, for example, to new asynchronous features, such as “awaits” in C#. Tribble co-invented the eCheck service as a founder and CTO of VerifyValid and continues to lead that development as the VP of ePayment product engineering and development at Deluxe. 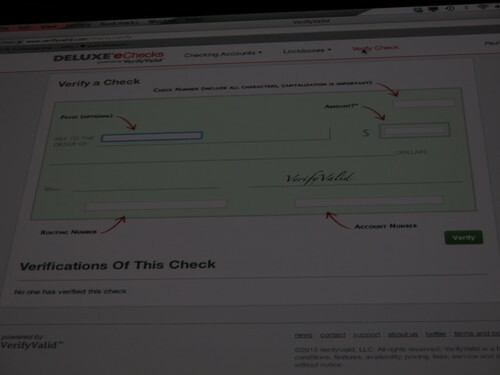 Deluxe eChecks modernized the oldest form of non-cash payment instrument, the paper check. Deluxe will show you exactly what they are and how you can easily leverage eChecks in your application to send and/or receive hundreds or thousands of dollars in payments at a time without paying transaction fees. Financial institutions process 20 billion paper checks worth $30 trillion every year in the U.S. alone. Deluxe will show you how its eChecks combine the paper check’s most powerful payment and security features into cutting-edge technology that’s delivered electronically. It will show you the why and how to use eChecks in your app. Technology Banker takes a look at Arroweye Solution’s EMV On-Demand solution. CurrencyFair shows off its new mobile phone look. 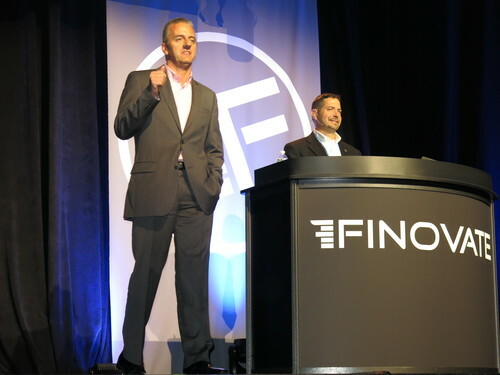 Read more about CurrencyFair in yesterday’s FinovateAsia feature. Arxan Technologies announces new tamper-proof jailbreak detection security & environmental sensing technology. Spindle uses ValidSoft to authenticate mobile payments by voice. Next up is a joint presentation from Deluxe Corporation and VerifyValid. The two are teaming up to bring electronic check payments to small businesses and consumers. “VerifyValid lets customers make/receive check payments entirely online, utilizing virtual lockbox and remote deposit capture systems, or by printing checks on plain paper. The partnership between Deluxe and VerifyValid will soon introduce secure electronic check payments to the 4M small business and 5,700 bank customers currently served by Deluxe.